Exploring and experiencing the arts of the DMV area. In the DMV, there are numerous concerts, performances, events, festivals, etc. Often times, the performers/artists are a combination of locals and non-locals, or they’re limited to one type of artistic genre. What if there was an organization made in the DMV, whose sole purpose was to showcase the great artistic talents of the DMV?! Meet DMVME! 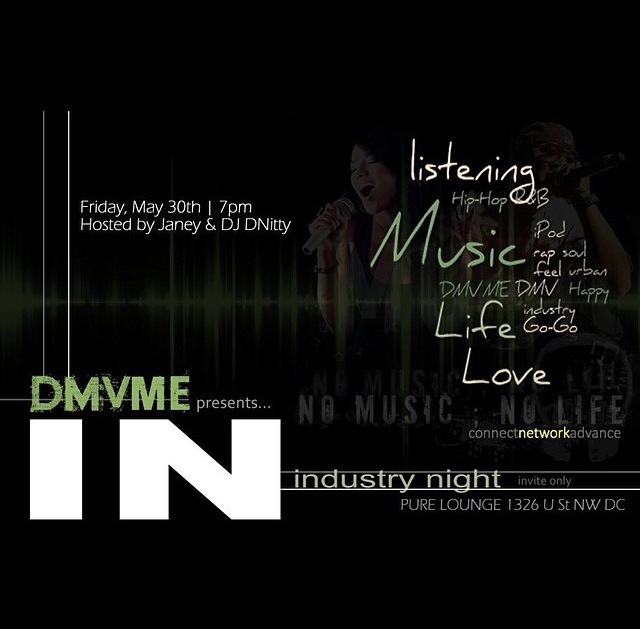 The DMV Music & Entertainment (DMVME) brand provides a unique opportunity for Washington DC metro area artists, songwriters, producers, DJs, managers, music industry professionals and fans to meet, network and further their careers. They introduce some of the hottest up and coming urban music and entertainment artists; from Hip-Hop, R&B, Go-Go, Spoken Word and Comedy. The DMVME team consists of: Janey (Founder of DMVME), Shea Atkins (Event Operations Manager), Ray Williams (Social Media Manager), Alethena McCoy (Sponsorship Coordinator), and TaKeyia Monique (Public Relations, Haute Hipsters Media). 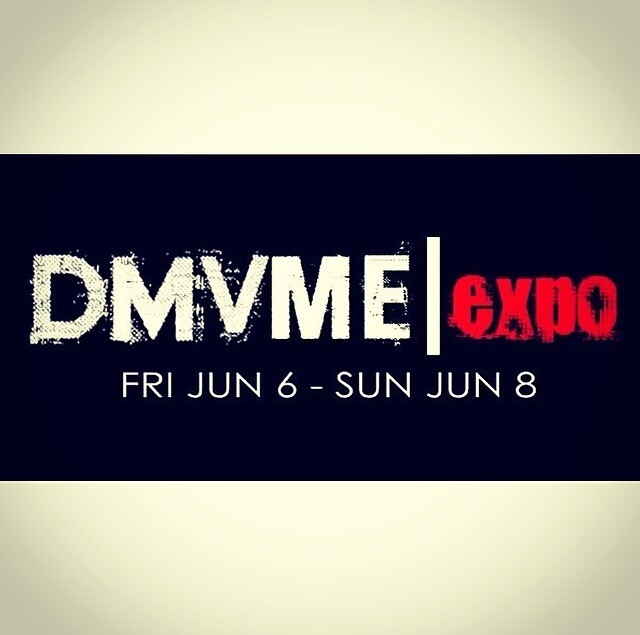 The DMVME team has hit the ground running since their recent initial creation, and has made great strides to set up their initial expo weekend in just the past month, which is set to take place on June 6-8, 2014. “We had to do something different. If you want change, be the change,” said Janey…and that’s exactly what they did! The DMV Music & Entertainment Expo modifies the Hip-Hop shows we’re accustomed to and merges those rap performances with other urban media entertainment (R&B, Go-Go, Spoken Word, etc.) in addition to bridging the gap with artists and their potential fans. 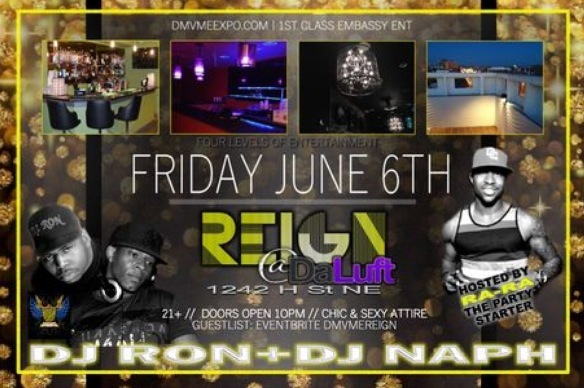 Friday, June 6th – Pre-Expo Kick Off Party (Doors open at 10pm) at DaLuft Lounge, hosted by RaRa the Party Starter & music by Mr. Primetime DJ Ron + DJ Naph. 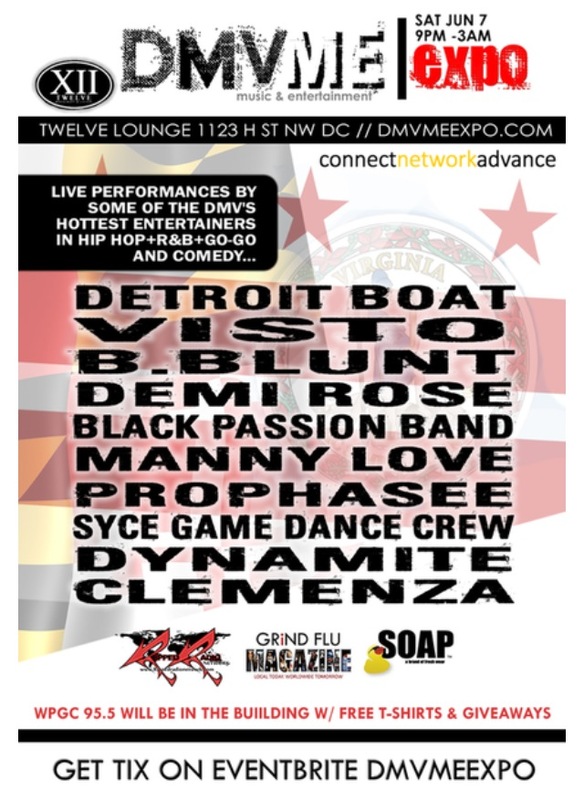 Saturday, June 7th – DMV Music & Entertainment Expo (9pm-3am) at Twelve Lounge, which features artists such as Visto, B. Blunt, Demi Rose, Detroit Boat, Black Passion Band, and more; with an opening reception hosted by comedian Tony Woods. 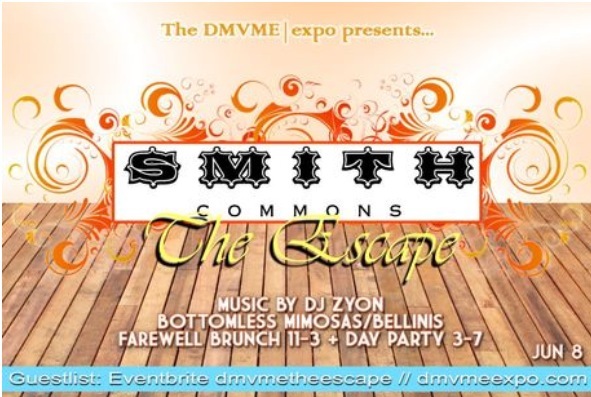 Sunday, June 8th – Farewell Brunch (11am-3pm) + Day Party (3pm-7pm) at Smith Commons, featuring live performances by spoken word artists DMVPoet, Orville the Poet and more, live painting by Michelle Izquierdo & Music by DJ Zyon. We were able to catch up with Janey & Social Media Manager, Ray Williams, to learn a little more about what makes their team! Q: What part(s) of the DMV are you reppin’? Q: How has your community influenced you, and vice versa? A: (Janey) I’ve been a rapper, and I’ve had a lot of difficulty getting material out. I had a label in 2006, and the hip hop was always separated. I want to bring everything together so that we can make enough noise to get out there. Why would you up root yourself and leave the area, when you have success?! Everyone thus far has been on-board and lending a hand in the process, and we’ve received nothing but undeniable support from the DMV community. (Ray) I’m a fan of hip hop, and I believe that there’s a great means of artists in the area, but they don’t know how to get seen and heard. Q: If there’s anything that you would want your peers & supporters to know about your organization (assuming that they don’t already), what would it be? A: (Janey) Our tagline is: connect, network, advance! Even though our tagline is on our site, sometimes it can get lost in the brand, and I wanted to throw it out there just to reinforce our purpose. (Ray) Something that everyone may not know about me is that…I love different types of whiskey…lol! A: (Janey) We will have another EXPO in Sept, and will add a producers battle on a separate night. Also, we will have a monthly industry HH, which starts Friday (5/30) at Pure Lounge, to keep the momentum going from the EXPO and we will more than likely pick a specific artist to perform for each HH as a preview to the next EXPO. DJ DNITTY from Ripped Radio will be the DJ on those events. (Ray) Even for something that we started a month ago, we had people from Pittsburg to LA to Canada willing to come out and participate. Even though we’re only targeting DMV artists, I think that says a lot about how much we’ve grown and made and impact thus far! Be sure to check out their website for more up-to-date info & to purchase your tickets for the Expo on Saturday night: www.dmvmeexpo.com. Also, be sure to follow them on their social media pages also, including FaceBook, Instagram, Twitter, and YouTube. This is going to be a weekend to remember, and you don’t want to miss the action! There are those that study the art of acting, and there are those that were born to do so. Please meet Terrence Shingler! Terrence is a native of the DMV area, a graduate of Central High School and Prince George’s Community College. Rising as a singer and theatrical performer, he has been performing on stage and singing since the young age of 2 years old. Over the course of his early years, he’s performed in places such as the local, iconic staple, John F. Kennedy Center for the Performing Arts. 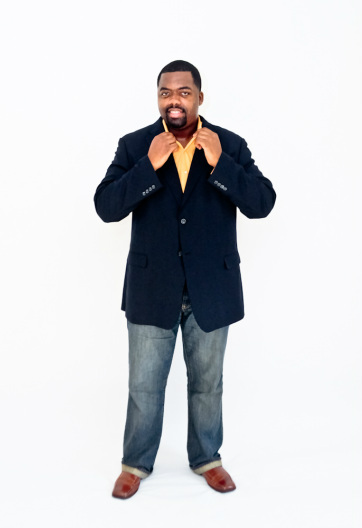 Terrence’s personal philosophy of humility, hard work, and patience (coupled with the discipline, determination, and drive learned through his many talents), have equipped him with the tools to be successful in the entertainment business. Musically, he has shared the stage, co-starring and singing background, with various artists, such as Grammy nominated artists Ledisi, Kenny Lattimore, Kim Burrell, Marvin Winans, Grammy Award winning Gospel artist Tye Tribbett, and the Legendary Godfather of Go-Go, the late Chuck Brown. In 2012, Terrence was also selected to be apart of an ensemble who performed at Dr. Martin Luther King’s memorial dedication ceremony at DAR Constitution Hall, in DC. 2013-14 has opened many doors for Terrence in the realm of acting the extends well beyond his previous theatrical experiences! With his raw talent and ability, he was able to book TV commercials for companies such as Shentel Cable Company & Koons Automotive. Not only did he stop there, but Terrence has also started to make his mark on popular TV & Online series’, such as Emmy Award Winning Netflix show, “House of Cards – Season 2”, Emmy Award Winning HBO series, “VEEP”, NBC‘s new TV series, “The Blacklist”, as well as new shows on ID Network. Q: What part of the DMV are you reppin’? 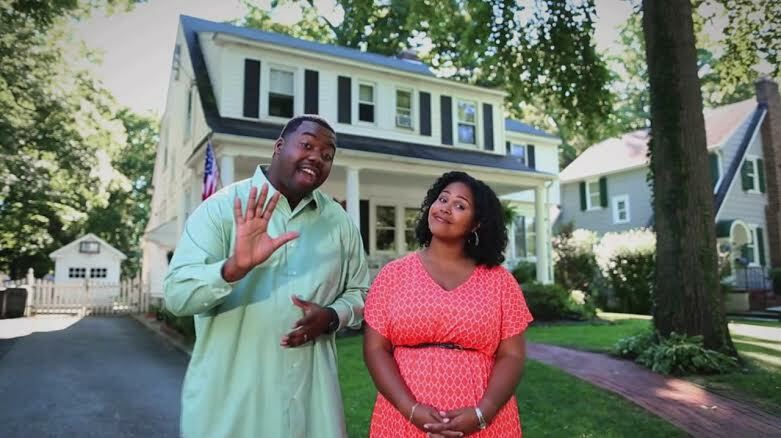 A: I rep both NW Washington, DC and Suitland, MD…I grew up part of my life in both areas. Q: What influenced you to engage in your talents/gifts? A: God, my wife, the support of my friends, family and belief in my God given ability is what influenced me to engage in my talents/gifts. I also had to leave my fear behind and step out on faith. A: My community has impacted me in a major way. It has humbled me so much, that no matter how successful I become, I will never forget where I came from. You will still be able to walk up to me and not have to worry about me getting “BRAND NEW” on you. I will stop and talk to you because at the end of the day, I am human just like you. Q: If there’s anything that you would want your peers & supporters to know about you (assuming that they don’t already), what would it be? A: You can check out my website (www.actorterrence.com) to find out all that I’m working on. 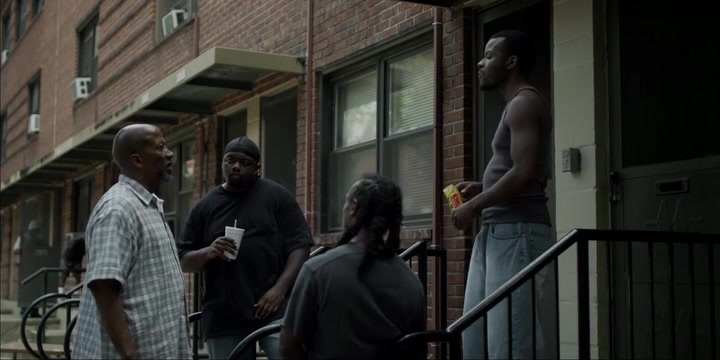 A: I will soon be working on two web-series: “Anacostia”, written by Indie Award Winning Writer and Director, Anthony Anderson, and “Chocolate City”, written by Landra V. Phillips. 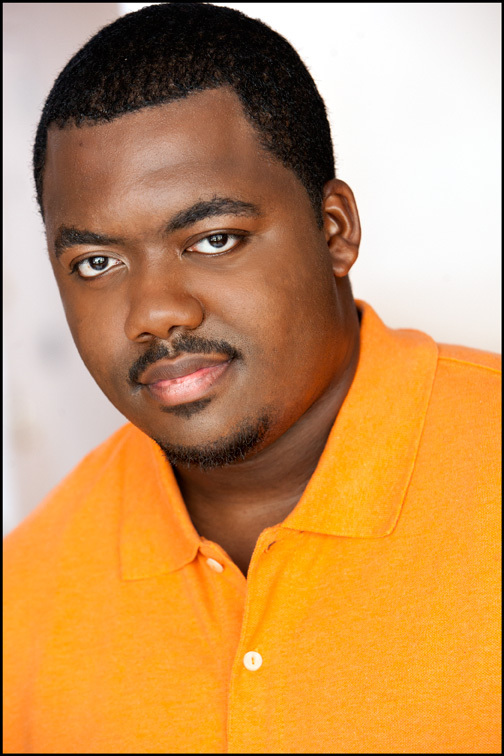 Keep up with Terrence’s many talents, including his VoiceOver work, at his website (mentioned above), and his official IMDb page! Also, connect personally with him via various social networking sites, including FaceBook, Twitter, and LinkedIn. With God’s hand guiding him, the skies the limit for this talented young man. 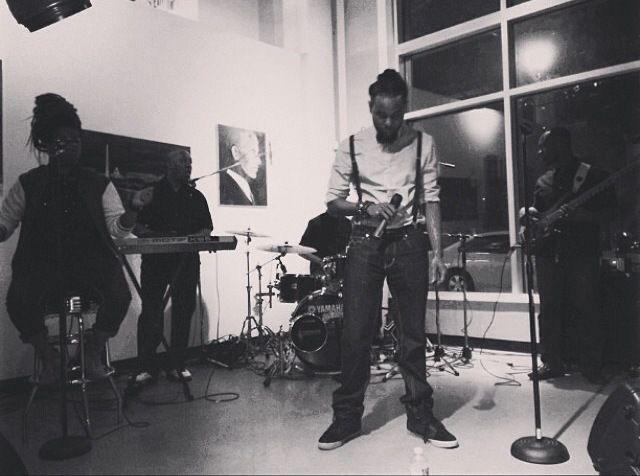 Saturday evening, May 3, 2014, at the Artiz Gallery Lounge in Mt. Ranier, MD; a group of family, friends and supporters are gathering for an intimate, yet exciting event. 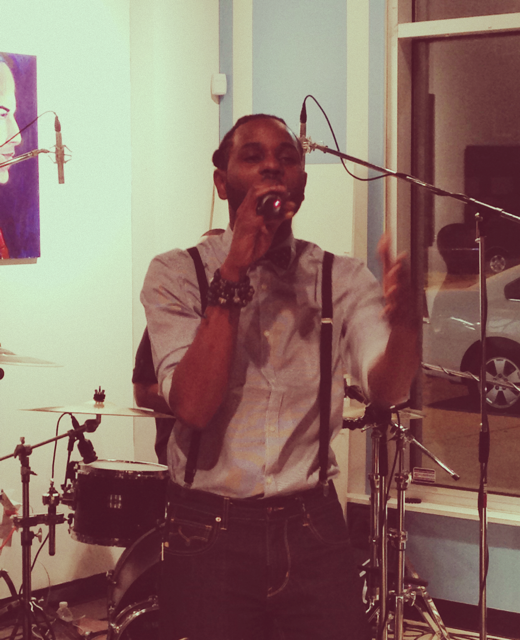 DMVPOET is finally recording his debut spoken word album, Heart & Mind of a Gemini. 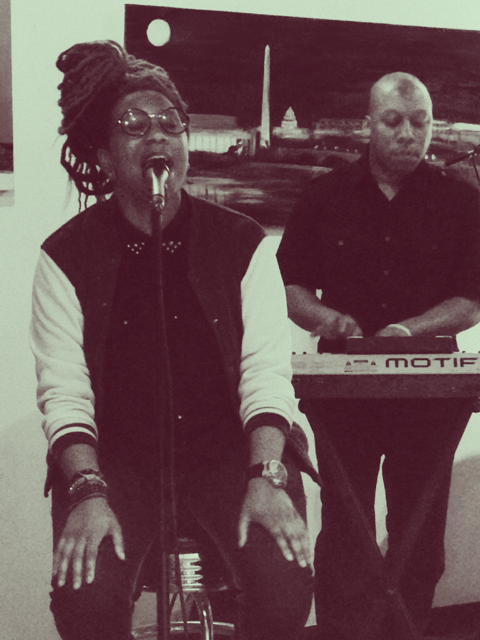 The evening starts with mingling, food, drinks and smooth grooves from the In Da Cut Band, which consists of keyboardist (and founder), Clayton Morrow, drummer, David Suggs, and bassist, Pap Mensah. After some time of connecting over good food and good times, the show began as local media showman, Rich Rocket, welcomed everyone as the evening’s host. The first act to the stage was singer Davonne D’Neil. 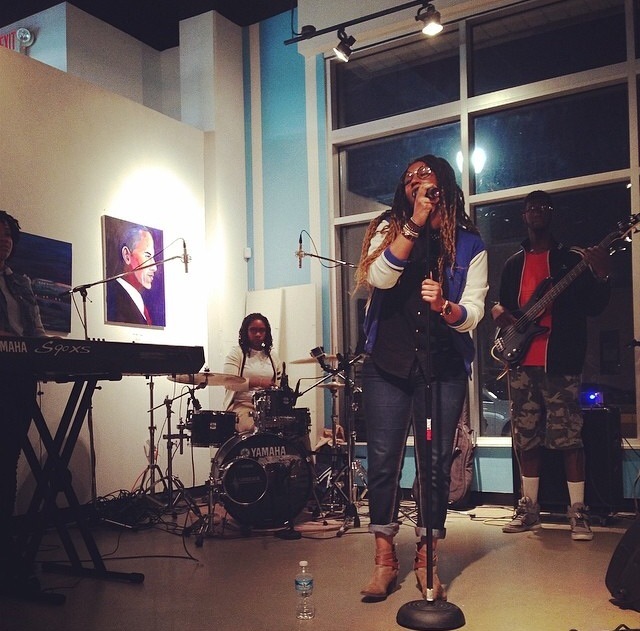 She rocked the stage with her band while performing originals and covers in her own spin. The crowd was grooving as she put Hip-Hop/R&B spins on songs, such as Adele‘s “Rolling in the Deep”. “Politician”: DMVPOET deemed this as his theme song, keying in on what it’s like to grow up in the DMV. “Fallen Star”: This is a personal track about the friends that he’s grown up with, yet lost along the way. “Trayvon”: A touching tribute song to another “fallen star”, Trayvon Martin. “Knees Remain Closed”: A song about the sensitivity of a young girl losing her virginity and the emotional pain that comes along with it. “Cold Sheets”: Could be considered a follow-up to “Knees Remain Closed”; DMVPOET notes that this song is about “a cycle where the love was never there, but the physicality was…this piece represents the man or woman that doesn’t necessarily know how to get out of it”. “Inadequacy”: A track about the pressures of trying to live up to, often times, impossible standards and the feeling of heartbreak that comes along with it. “A Letter To You from Me”: A way to close out the album on a high note; an uptempo piece that celebrates life and love. As the evening came to a close, DMVPOET‘s closing remarks to his supporters expressed how he was, “so proud to have given you a piece of me from the last 7 years”! Be on the look out for Heart & Mind of a Gemini this coming Fall 2014, and also look out for Davonne D’Neil‘s 3rd solo project, Round Midnight, which will be out this August 2014. To keep up with the artists featured in this event, follow them on their social networking sites (including Facebook, Instagram & Twitter), and be sure to check out www.DMVPOET.com for album updates, and spoken word blessings near you in the future!